The scene where police said a man was shot to death in Acres Homes on Jan. 22, 2019. 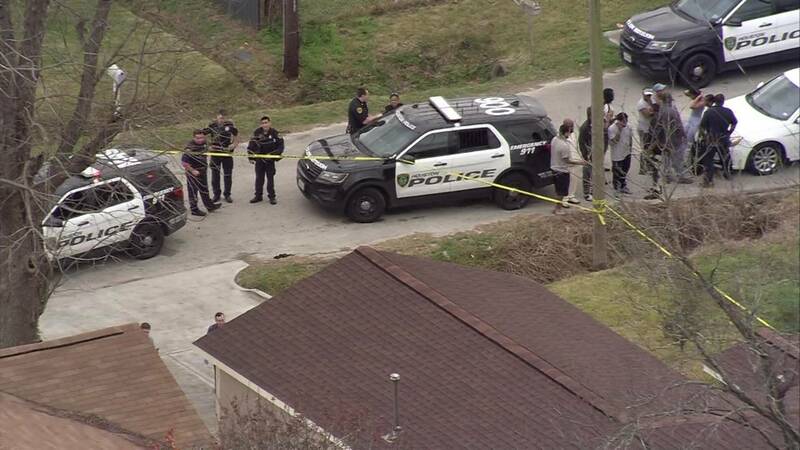 HOUSTON - A man was shot to death Tuesday during a home invasion in Acres Homes, according to Houston police. Police said three men broke into a home around 2:10 p.m. in the 800 block of Chas Lane. The men robbed the house and shot a man who was inside, police said. The man was visiting, according to police. He was taken to an area hospital, where he was pronounced dead. Police said the shooter left the scene in a black Nissan Altima. It is not clear what led up to the shooting.